Thugs Of Hindostan is a historical fiction thriller movie directed by Vijay Krishan Acharya and Produced by Aditya Chopra. Amitabh Bachchan and Aamir Khan first film is Thugs of Hindostan and Amitabh Bachchan name is Khudabaksh Azaad who aspires to free Hindustan from the rule of the expanding British East India Company. The film follows a band of Thugs led actor Mr perfectionist Aamir Khan (Firani Mallah) a small Thug. You can see lead actress Katrina Kaif aka chikni chameli with costume in film song and she is very beautiful in this look. Aamir Khan film Dhoom 3 with Katrina Kaif’s Kamli song is the highest view in Youtube. Thugs of Hindostan film last lead Heroin is Fatima Sana Shaikh. She is best know for her role as Mahavir Singh Phogat’s daughter with Aamir Khan in his previous film Dangal. 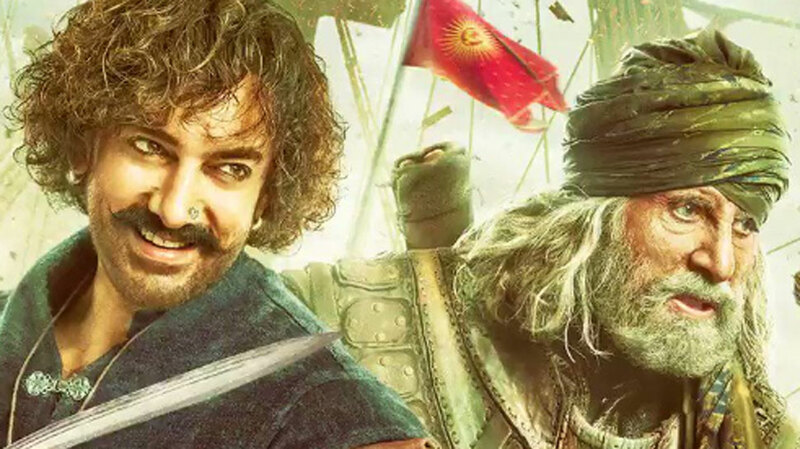 Thugs of Hindostan produced on a budget of Rs 300 crore (US$42 million) and is the most expensive Bollywood film. This film schedule being completed in Rajasthan. Thugs of Hindostan is set to be released during of the Diwali festival on 8th Nov 2018. The First official theatrical trailer of Thugs Of Hindostan is released and available on the Youtube. It is historical fiction story set in 1795, when the Indian subcontinent was know as Hindustan. But publics are thinking this film found quite a few similarities with Pirates of the Caribbean. Says Aamir Khan play role of Jack Sparrow in the film. Amitabh Bachchan’s role inspired by Hector Barbossa of Pirates of Caribbean. This film soundtrack was composed by Ajay-Atul, with background score by John Stewart Eduri and lyrics by Amitabh Bhattacharya. Shankar-Ehsaan-Loy was supposed to originally compose the Soundtrack. This film will be released on 8th November 2018 and dubbed versions were also launched in Tamil by Kamal Haasan and in Telugu by S.S. Rajamouli. Their is also plans to release the film in China, where Khan’s previous film is successful of Bollywood. You can watch and Download the HD Trailer of Thugs Of Hindostan at high resolution of 720p and 1080p from the youtube and other official websites.